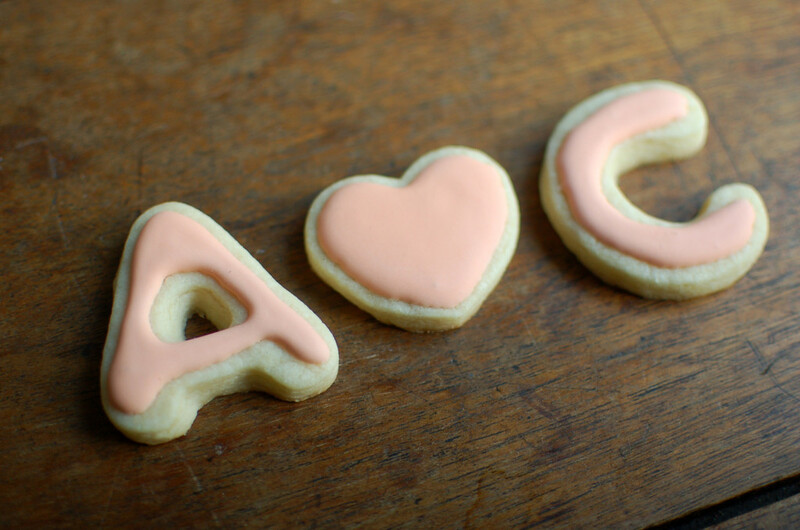 We already know that I’d be lost without my letter cookie cutters (exhibit a and b), but here’s another project to confirm it! 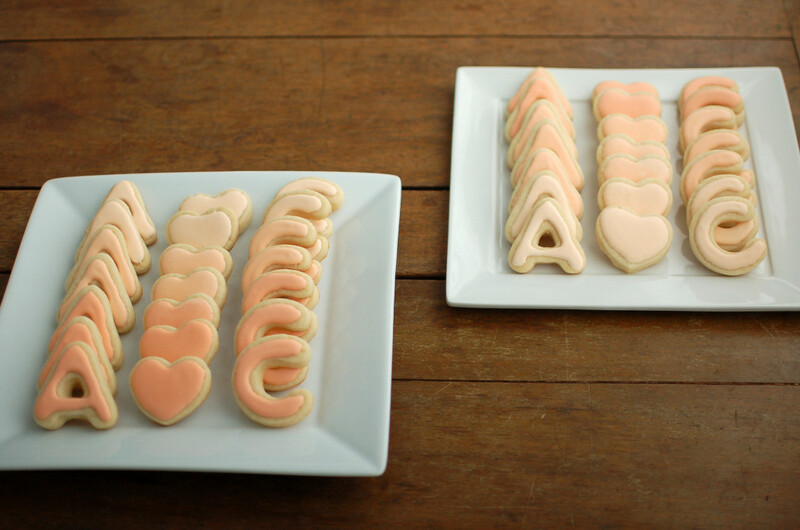 I made these initial and heart sugar cookies for a sweet cousin-in-law’s bridal shower over the weekend. 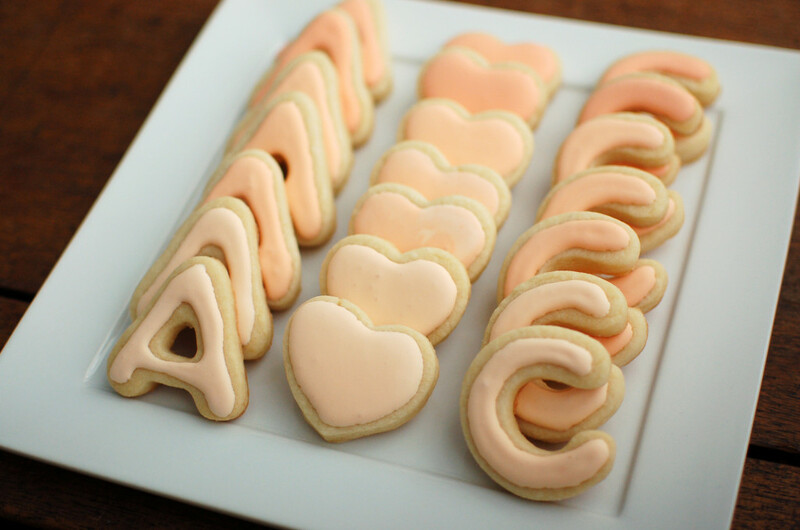 If you’re thinking of making a batch of heart cookies for someone special on Valentine’s Day, maybe you, too, want to throw a few letters into the mix? For recipes, I’ve been using and enjoying Bake at 350′s almond sugar cookies and almond royal icing. I decided to skip piping the edges of these, making them much faster to ice, but also less precise. 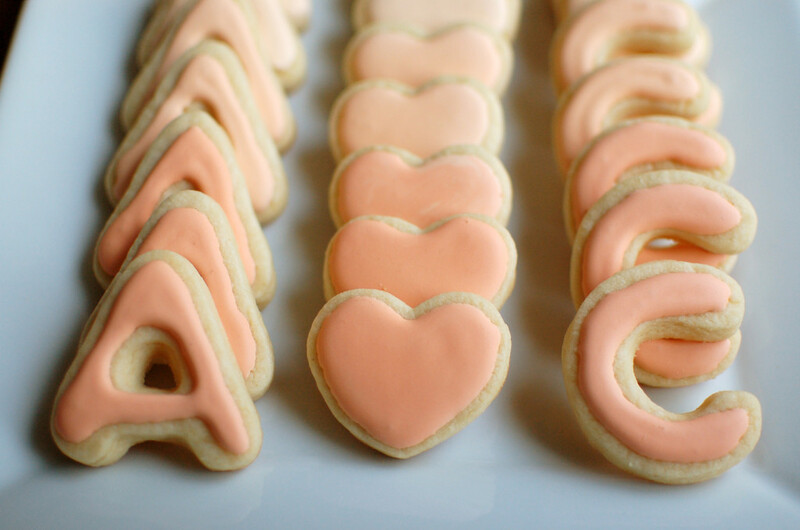 I hope you aren’t over all the trends embodied in these cookies (blush pink! ombre! ), because I am certainly not. I think they’re perfect for cookies — just keep me away from investment pieces… like say, a sofa! very cute, love the color! perfect for a shower. those cookie cutters sure have come in handy for you!